"Civil War Soldiers of Walpole, Massachusetts"
The Walpole Historical Society is located in the Deacon Willard Lewis House at 33 West Street, Walpole, MA and is open most Saturday afternoons from 2 to 4 PM. Email us ahead if you are coming a distance. The Society was established on May 23, 1898 to "collect, hold, and preserve documents, books, memoirs, curiosities and all matters related to its history ..... and to secure and maintain a memorial building in which its collections may be preserved". 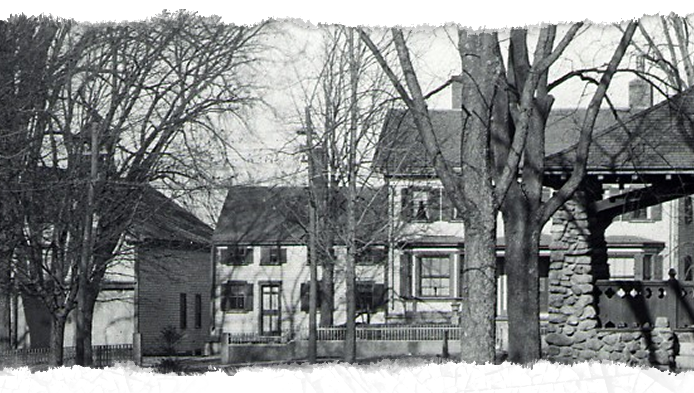 Go to our "Links to Walpole History" page to get additional information on the History of Walpole, Photos, Cemetery Headstone transcriptions, Vital Records Prior to 1850, Assessor's Data Base for property information, and Walpole Climate. Continue to "more links" to get information on Walpole Historical Commission, Municipal Mapper, Historic Properties Survey, and more about Walpole.